Now, anyone who knows us, knows that we are messy. 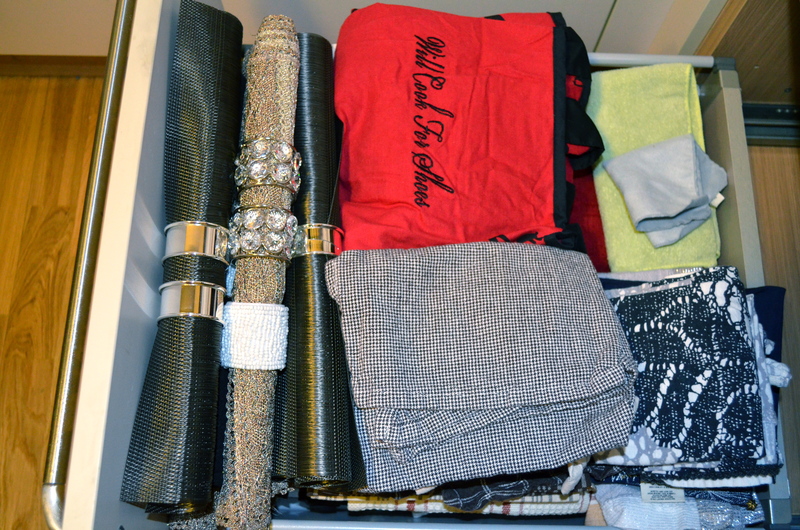 We both like to think that we are organized and tidy people who sometimes make messes. We are not those people. We are a mess. ALWAYS. So this should not have bothered me. However, sometimes my husband can get really overwhelmed with some of my….collections. 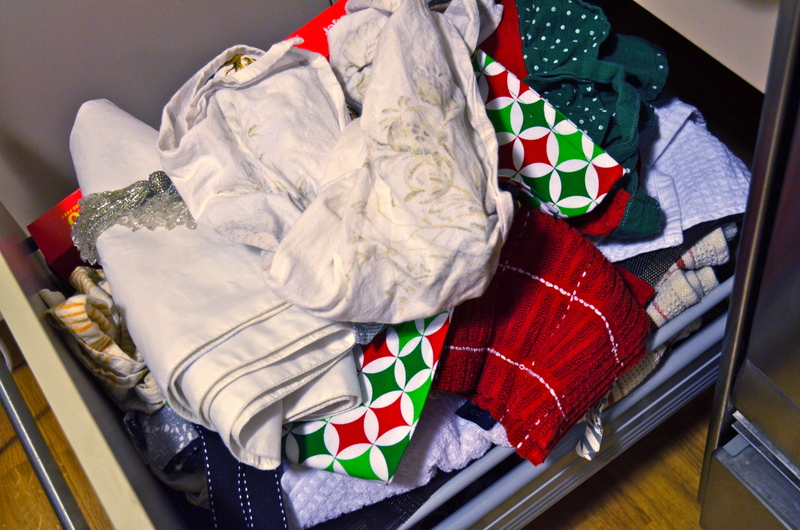 If he sees this drawer we will have the inevitable conversation that sounds something like this, “Husband: Do we seriously need these weird towels for every single holiday? They dont even work when you are trying to soak something up. 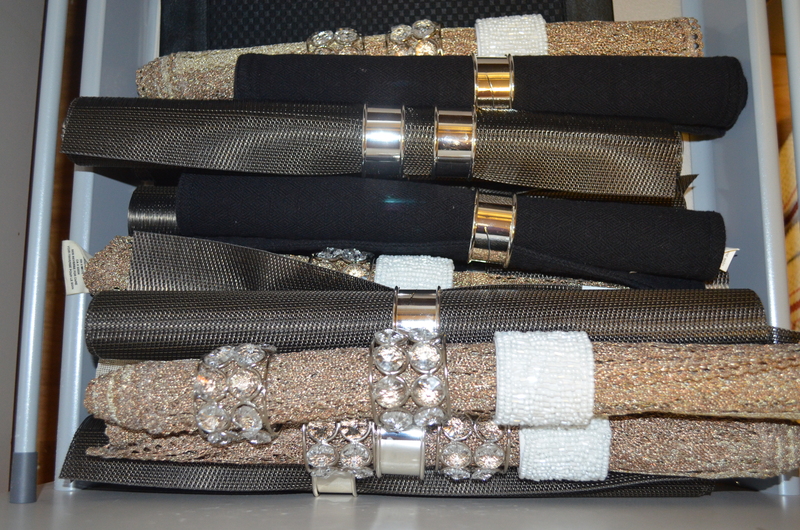 Why do we have to have a zillion sets of napkin rings?! A turkey towel? Seriously?! This is stupid. 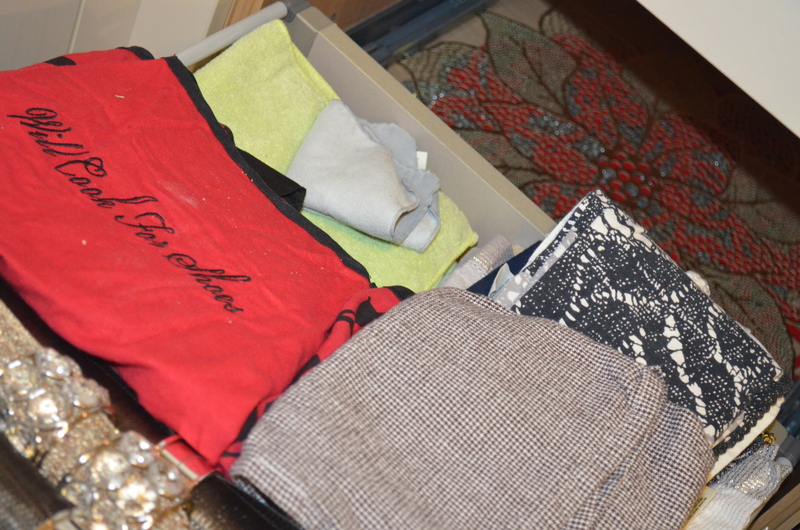 I am throwing all of this away.” To be proactive I had to figure out how to fit all of this stuff in this teeny tiny drawer and make it look like it wasn’t full at all. I started with all of the placemats we got from the wedding. I rolled each one of them up and secured them with a couple napkin rings. I realize they could have just laid flat in the drawer but the second I need to use them, the entire drawer looks like a bomb went off and I am back to square one. 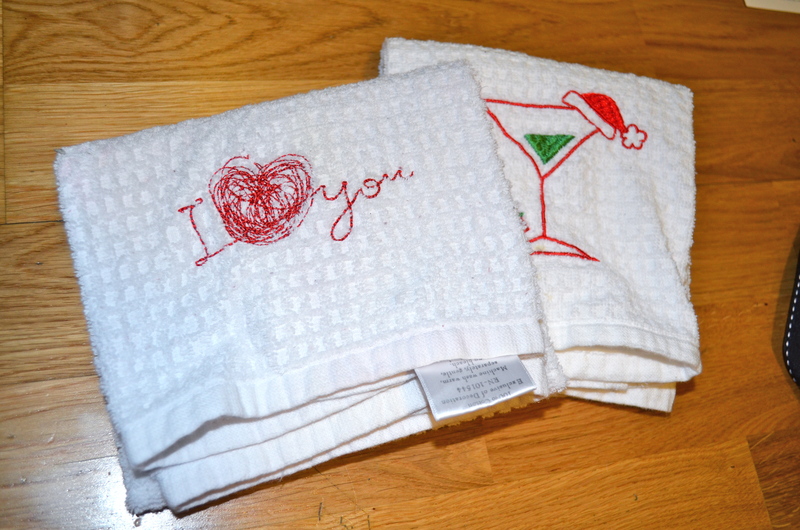 Then I dealt with the holiday towels. I KNOW they are excessive and completely unnecessary but I like them and I don’t care what anyone thinks. I put them in order of holiday with the ones farthest out (christmas) on the bottom, and the ones coming up (valentines day) on top. Then I stacked everything else into neat piles. Aprons, dishtowels, microfiber towels, lint free towels, etc. The best part though, was the fact that I realized that there is a bit of space between the actual bottom of the drawer and the bottom of the cabinet. So, I was able to lay flat some of the more decorative place mats that wont roll up UNDER the drawer. Not to brag, but for some reason, when I figured that out on my own, it made me feel like I could run a Fortune 500 company. Starting tomorrow. If only I could figure out how to organize our medicine cabinet so that I dont get hit in the head with pills EVERY time we open it. Ah, someday…. Seriously? After all that, I found this, UGH…..